Taken together as a cycle, Shakespeare's sonnets are the single greatest work of lyric poetry in English, as passionate and daring as any love poems we may ever encounter, argues Elizabethan scholar and former Harvard University president Neil Rudenstine—and yet they are often misunderstood. 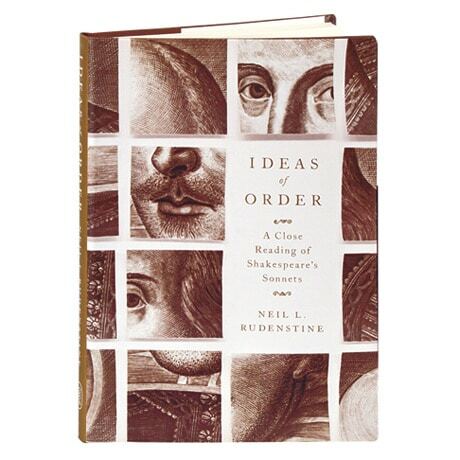 In this follow-up to his outstanding study of Philip Sidney's poetic development, Rudenstine reveals an underlying structure within Shakespeare's 154 poems that illuminates the entire work as a whole, and then provides a guide—for first-time readers as well as scholars—that inspires a new understanding of this complex masterpiece. Rudenstine unveils the relationship between major groups of poems: the expressions of love, the transgressions, the longings, the jealousies, and the reconciliations. He makes a case for the existence of a dramatic arc within the work through an expert interpretation of distinct groups of sonnets in relationship to one another. The sonnets show us a poet in turmoil whose love for a young man—who returns his affections—is utterly transformative, binding him in such an irresistible way that it survives a number of infidelities. And the poet and the young man are drawn in to a cycle of lust and betrayal by a "dark lady," a woman with the "power to make love groan."